Answer: What kind of basis do you have for saying something like that? Is what you have said in line with the words of the Lord Jesus? Are they based on God’s words? If what you are saying is completely based on man’s notions and imaginations, that would be resisting the Lord! Let’s see how the Pharisees waited for the arrival of the Messiah and why they nailed the Lord Jesus to the cross. Initially, the Jewish Pharisees were full of notions and imaginations when it came to the Messiah. They saw the biblical prophecy: “For to us a child is born, to us a son is given: and the government shall be on his shoulder” (Isa 9:6). “But you, Bethlehem Ephratah, though you be little among the thousands of Judah, yet out of you shall he come forth to me that is to be ruler in Israel; whose goings forth have been from of old, from everlasting” (Mic 5:2). Based on the words of the Bible prophecies and various long-term fantasies and deductions toward the arrival of the Messiah, the Pharisees determined that the Lord would definitely be called Messiah and would certainly be born to a wealthy family. Further, He would be like David and become the King of Israel, leading them to break away from the rule of the Roman government. Most Israelites probably thought this way. But God did not fulfill these prophecies in accordance with their notions and imaginations, so the Pharisees tried to find all kinds of accusations against the Lord Jesus and condemned and blasphemed the Lord Jesus. Even though at the time the Lord Jesus expressed many truths and performed many miracles, fully demonstrating God’s authority and power, the Pharisees did not care how profound the Lord Jesus’ words were or how great His authority was. As long as it did not conform with their notions and imaginations, as long as He was not born to a wealthy family and His appearance not noble and dignified, as long as His name was not Messiah, they would condemn and resist. Due to their truth-hating nature, they ultimately nailed the Lord Jesus, who expressed truths and performed redemption work, to the cross! Brothers and sisters, are the Pharisees detestable? Should they be cursed! The sins of the Pharisees in resisting and condemning the Lord Jesus thoroughly exposed their truth-loathing, truth-hating satanic nature. This shows that their hearts were not genuinely looking forward to the Messiah saving them from sin, but were instead looking forward to what? They were looking forward to the King of the Jews helping them to break away from the rule of the Roman government, so they would no longer have to suffer like slaves! They believed in God and anticipated the arrival of the Messiah all because they wanted to satisfy their own personal desires and protect their status. Let’s think about it. What mistake did the Pharisees commit in waiting for the coming of the Messiah? Why were they cursed and punished by God? This is really thought-provoking! Why did the Pharisees resist and condemn the Lord Jesus when He appeared to perform His work? What nature and substance of the Pharisees was demonstrated here? These are problems people who long for God’s appearance should understand! If we cannot see through these problems, then when it comes to receiving the returned Lord Jesus, we might very well end up on the same God-resisting path as the Pharisees! How did the Pharisees wait for the Messiah to arrive? Why did they crucify the Lord Jesus? Just what is the source of these questions? Let’s look at what Almighty God says! 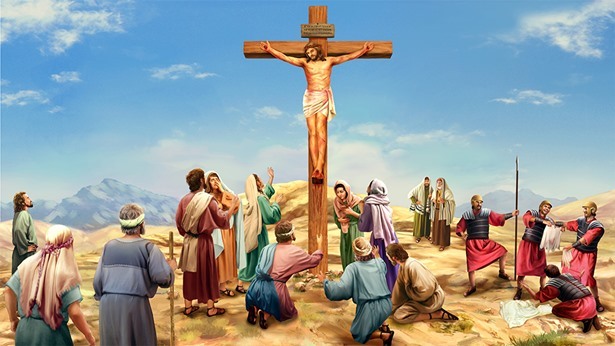 Almighty God says, “Do you wish to know the root of why the Pharisees opposed Jesus? Do you wish to know the substance of the Pharisees? They were full of fantasies about the Messiah. What’s more, they believed only that the Messiah would come, yet did not seek the truth of life. And so, even today they still await the Messiah, for they have no knowledge of the way of life, and do not know what the way of truth is. How, say you, could such foolish, stubborn and ignorant people gain God’s blessing? How could they behold the Messiah? They opposed Jesus because they did not know the direction of the Holy Spirit’s work, because they did not know the way of truth spoken by Jesus, and, furthermore, because they did not understand the Messiah. And since they had never seen the Messiah, and had never been in the company of the Messiah, they made the mistake of paying empty tribute to the name of the Messiah while opposing the substance of the Messiah by any means. These Pharisees in substance were stubborn, arrogant, and did not obey the truth. The principle of their belief in God is: No matter how profound Your preaching, no matter how high Your authority, You are not Christ unless You are called the Messiah. Are these views not preposterous and ridiculous?” (“When You Behold the Spiritual Body of Jesus Will Be When God Has Made Anew Heaven and Earth” in The Word Appears in the Flesh). After reading the words of Almighty God, the essence and source of the Pharisees’ resistance of the Lord Jesus in waiting for the Messiah should all be clear to us now. So in regard to receiving the Lord’s return, if man relies on their notions and imaginations, and simply waits like fools for the Lord to descend with the clouds, rather than pursuing the truth and listening to God’s voice, then won’t they be walking the same God-resisting path of the Pharisees? Then just what will their outcome be? Now, Almighty God’s kingdom gospel has been spreading throughout Mainland China for more than 20 years. It has long spread to various denominations. During this period, due to the CCP government’s furious suppression and crackdown, coupled with the propaganda campaign of the CCP’s media, Almighty God is already a household name that everybody knows about. Later, all the truths expressed by Almighty God and the various videos and films produced by the Church of Almighty God have been gradually released online, spreading across the world. I trust people in religious circles have all heard about the various testimony methods of the Church of Almighty God. So many people have testified that God has come. This completely fulfills the prophecy of the Lord Jesus: “And at midnight there was a cry made, Behold, the bridegroom comes; go you out to meet him” (Mat 25:6). Then why do religious pastors and elders still furiously condemn and resist Almighty God’s work in the last days? There are so many prophecies about the return of the Lord in the Bible, so why are they so fixated on the prophecy about the Lord descending with the clouds? Why don’t they seek at all when they hear there are testimonies of the Lord’s coming? 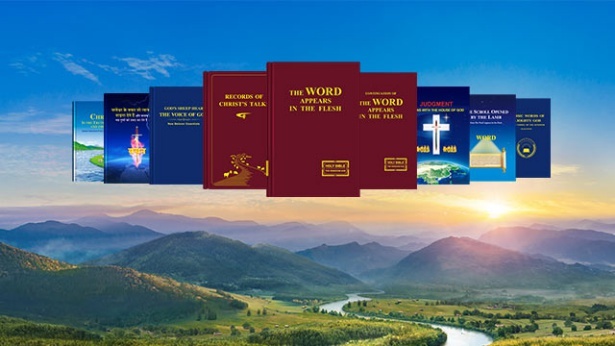 Why, when they know that Almighty God has expressed many truths and have seen the reality of God’s work, do they still stubbornly hold on to their notions and imaginations in resisting and condemning God’s work of the last days? Do these people love the truth and genuinely look forward to the Lord’s arrival or not? Are they wise virgins or foolish virgins? If they are wise virgins and genuinely look forward to the Lord’s return, then why, when they hear God’s voice and see the kingdom gospel flourishing, do they still have to stubbornly condemn and resist? Could this be their sincerity in longing for and hoping for the Lord to appear? Could this be their true expression in rejoicing the Lord’s return? Ultimately, to be frank, their belief in the Lord and longing for the return of the Lord Jesus are fake, but their longing to be blessed and enter the kingdom of heaven is real! They believe in the Lord not so they can pursue the truth and gain life, not so they can gain the truth and get away from sin. What do they care about the most? It’s when the Lord will descend to take them directly up into the kingdom of heaven and make them escape the suffering of the flesh and enjoy the blessings of the kingdom of heaven. This is their true purpose of believing in God! Tell me. Apart from this reason, what reason do they have for rejecting Almighty God, who expresses truths to save mankind? Everybody can think about it. If someone loves the truth and genuinely longs for God to appear, how will they act when they hear that the Lord has come? Will they not listen, not look, not get in touch with it? Will they blindly deny, condemn and resist? Definitely not. Because a person who sincerely longs for God’s appearance and welcomes God’s arrival looks forward to true light appearing, truth and righteousness ruling in their heart. They look forward to God coming to save mankind and help people thoroughly escape sin to become holy and be gained by God. But those who only wait for the Lord to descend with the clouds yet deny and reject Almighty God, especially those religious leaders who furiously condemn and resist Almighty God for the sake of protecting their status and livelihood— these are all people who despise the truth and hate the truth. They are all non-believers and antichrists exposed by God’s work of the last days. After God in the flesh completes His salvation work, these people will fall into the once-in-a-million-year disaster, weeping and gnashing their teeth. Then the prophecy of the Lord descending with the clouds to appear publicly will be completely fulfilled: “Behold, he comes with clouds; and every eye shall see him, and they also which pierced him: and all kindreds of the earth shall wail because of him” (Rev 1:7). “I tell you, those who believe in God because of the signs are surely the brood that shall suffer destruction. Those who are incapable of accepting the words of Jesus who has returned to flesh are surely the progeny of hell, the descendants of the archangel, the brood that shall be subjected to everlasting destruction. Many people may not care what I say, but I still want to tell every so-called saint who follows Jesus that, when you see Jesus descend from the heaven upon a white cloud with your own eyes, this will be the public appearance of the Sun of righteousness. Perhaps that will be a time of great excitement for you, yet you should know that the time when you witness Jesus descend from the heaven is also the time when you go down to hell to be punished. It will herald the end of God’s management plan, and will be when God rewards the good and punishes the wicked. For the judgment of God will have ended before man sees signs, when there is only the expression of truth. Those who accept the truth and do not seek signs, and thus have been purified, shall have returned before the throne of God and entered the Creator’s embrace. Only those who persist in the belief that ‘The Jesus who does not ride upon a white cloud is a false Christ’ shall be subjected to everlasting punishment, for they only believe in the Jesus who exhibits signs, but do not acknowledge the Jesus who proclaims severe judgment and releases the true way of life. And so it can only be that Jesus deals with them when He openly returns upon a white cloud. They are too stubborn, too confident in themselves, too arrogant. How could such degenerates be rewarded by Jesus?” (“When You Behold the Spiritual Body of Jesus Will Be When God Has Made Anew Heaven and Earth” in The Word Appears in the Flesh). Previous：Question 7: If the Lord Jesus is God Himself, then why is it that when the Lord Jesus prays, He still prays to God the Father? There is certainly a mystery here to unfold. Please commune for us. Next：Question 2: That pastors and elders are all chosen and ordained by the Lord, and that they are all people who serve the Lord. Obeying pastors and elders is obeying the Lord. If we resist and condemn pastors and elders, then we are resisting the Lord. Besides, Only pastors and elders understand the Bible and can interpret the Bible. Only they can shepherd us. As long as what pastors and elders say conforms with the Bible and has a basis in the Bible, we should comply and obey. As long as what pastors and elders do conforms with the Bible, we should accept and follow. how could that be wrong?